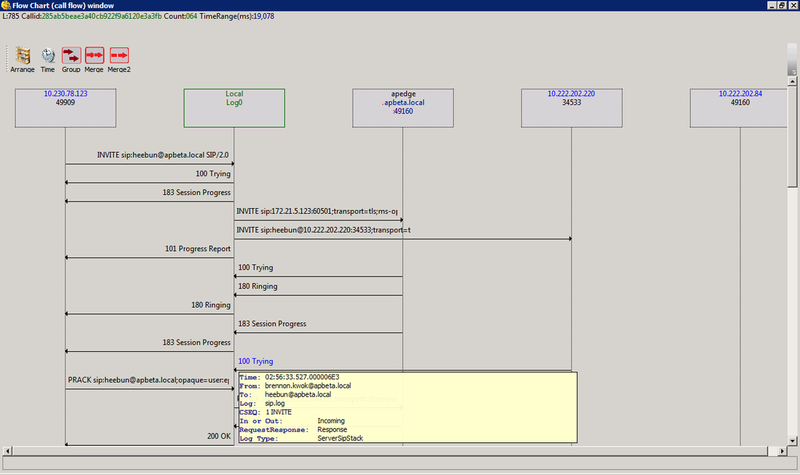 Most of us who have done troubleshooting and analyzed SIP traces on Lync2010 will be familiar with the Lync Server Logging Tool and Snooper. 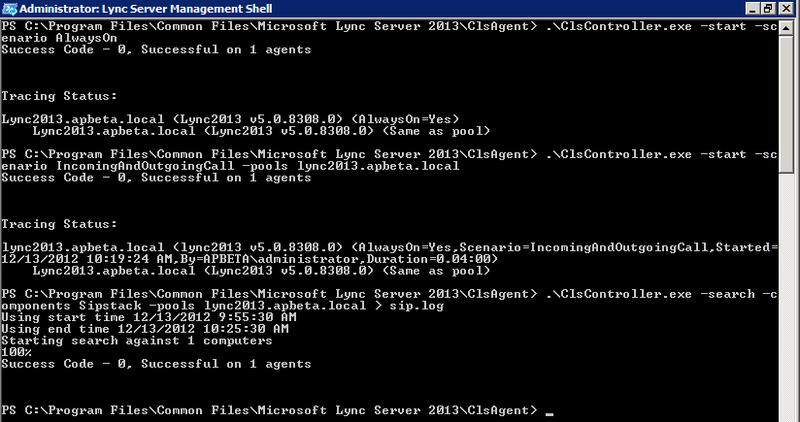 However, there are significant changes in the way Lync Server 2013 provides logging and analysis for troubleshooting. The Lync Server Logging Tool is now gone and replaced by the Centralized Logging Service (CLS). This article expores the CLS architecture and how to conduct basic logging and SIP trace analysis for the new Lync2013 server.CLS enables IT administrators to manage logging and search logs across all Lync servers in a deployment centrally rather than on individual servers. This is an advantage as one no longer needs to enable logging and having to look at traces on multiple front end servers in a pool. Now, we can start, stop and flush trace logging for any or all machines in the deployment from a single location. Administrators can also turn on logging based on scenarios on a per pool/machine for the entire deployment. From a centralized location, we can then search and trace these logs based on specified parameters. There's a special "AlwaysOn" scenario available that can be turned on all the time. It logs at the "INFO" level for many common components used in troubleshooting. By using "AlwaysOn", the idea is that admins don't need to reproduce the issue again, but rather that when an issue occurs there will be enough info in the component logs to debug. If the logs from "AlwaysOn" are not sufficient, then you still need to turn on the specific scenario relevent to the issue, reproduce the issue and get a higher level of logging. At any given time, one additional scenario can be enabled along with "AlwaysOn".